Home Campaign Statements Urgent Alert: Ahmad Sa’adat transferred to isolation at Ramon prison! Urgent Alert: Ahmad Sa’adat transferred to isolation at Ramon prison! 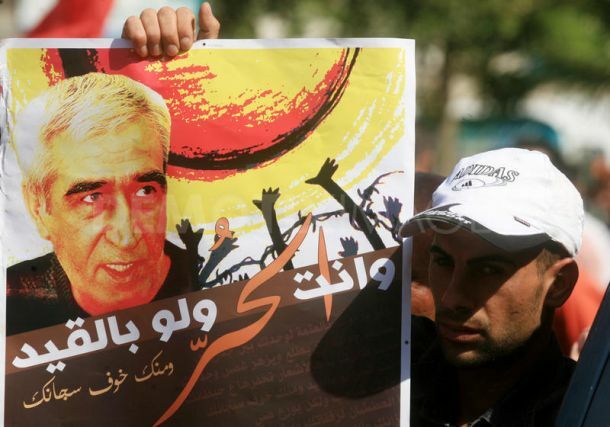 Imprisoned Palestinian national leader Ahmad Sa’adat, the General Secretary of the Popular Front for the Liberation of Palestine, was transferred on August 11, 2009 to Ramon prison in the Naqab desert from Asqelan prison, where he had been held for a number of months. He remains in isolation; prior to his transfer from Asqelan, he had been held since August 1 in a tiny isolation cell of 140 cm x 240 cm after being penalized for communicating with another prisoner in the isolation unit. Attorney Buthaina Duqmaq, president of the Mandela Association for prisoners’ and detainees’ rights, reported that this transfer is yet another continuation of the policy of repression and isolation directed at Sa’adat by the Israeli prison administration, aimed at undermining his steadfastness and weakening his health and his leadership in the prisoners’ movement. Sa’adat has been moved repeatedly from prison to prison and subject to fines, harsh conditions, isolation and solitary confinement, and medical neglect. 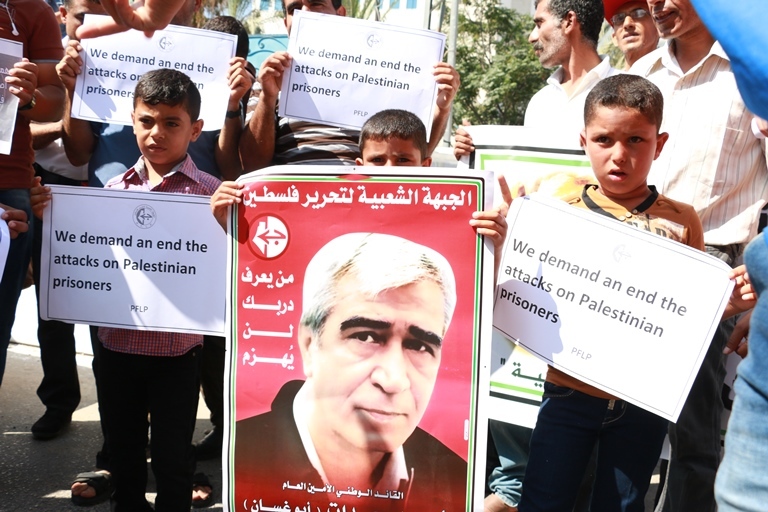 Ahmad Sa’adat undertook a nine-day hunger strike in June in order to protest the increasing use of isolation against Palestinian prisoners and the denial of prisoners’ rights, won through long and hard struggle. The isolation unit at Ramon prison is reported to be one of the worst isolation units in terms of conditions and repeated violations of prisoners’ rights in the Israeli prison system. 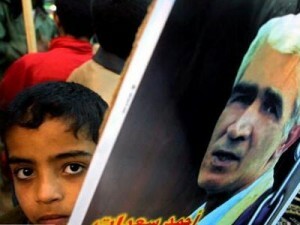 Sa’adat is serving a 30 year sentence in Israeli military prisons. He was sentenced on December 25, 2008 after a long and illegitimate military trial on political charges, which he boycotted. He was kidnapped by force in a Zionist military siege on the Palestinian Authority prison in Jericho, where he had been held since 2002 under U.S., British and PA guard. Sa’adat is suffering from back injuries that require medical assistance and treatment. Instead of receiving the medical care he needs, the Israeli prison officials are refusing him access to specialists and engaging in medical neglect and maltreatment. The Campaign to Free Ahmad Sa’adat demands an end to this isolation and calls upon all to protest at local Israeli embassies and consulates and to write to the International Committee of the Red Cross and other human rights organizations to exercise their responsibilities and act swiftly to demand that the Israelis ensure that Ahmad Sa’adat and all Palestinian prisoners receive needed medical care and that this punitive isolation be ended. Email the ICRC, whose humanitarian mission includes monitoring the conditions of prisoners, at jerusalem.jer@icrc.org, and inform them about the urgent situation of Ahmad Sa’adat! Sa’adat has been repeatedly moved in an attempt to punish him for his steadfastness and leadership and to undermine his leadership in the prisoners’ movement. Of course, these tactics have done nothing of the sort. The Palestinian prisoners are daily on the front lines, confronting Israeli oppression and crimes. Today, it is urgent that we stand with Ahmad Sa’adat and all Palestinian prisoners against these abuses, and for freedom for all Palestinian prisoners and for all of Palestine!